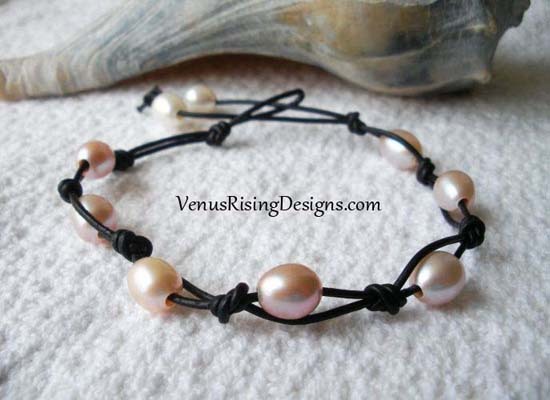 I've used creamy pink pearls for this bracelet, with white pearls in the dangle. The knotted black cord makes a nice contrast. Bracelet is adjustable 7-1/2" to 8-3/4".